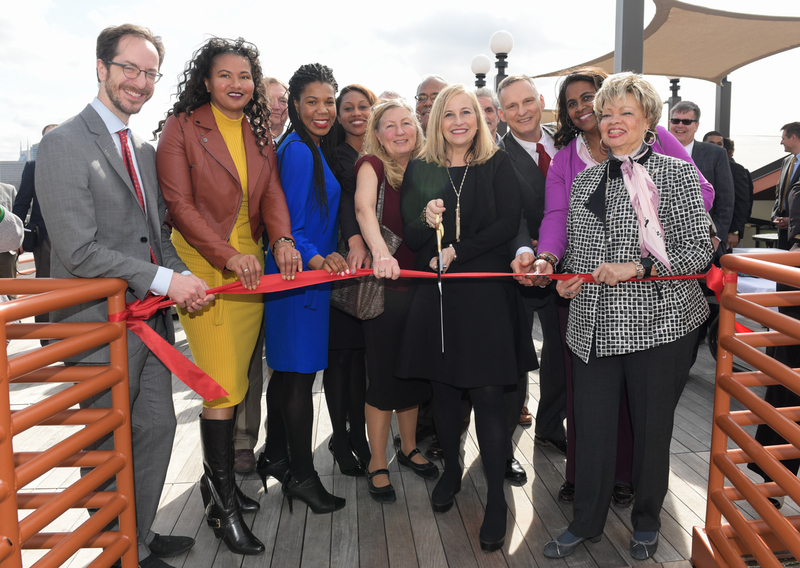 Mayor Megan Barry, other elected officials and representatives from the U.S. Department of Housing and Urban Development (HUD) joined MDHA for a ribbon cutting on the rooftop terrace of 10th & Jefferson, a 54-unit affordable and workforce housing development at 941 Jefferson St. The three-story development offers studio, one two and three-bedroom units and feature electronic door locks throughout. Many of the units have patios and balconies. On-site amenities include a rooftop terrace with a spectacular view of the downtown skyline, a parking garage and a lounge. 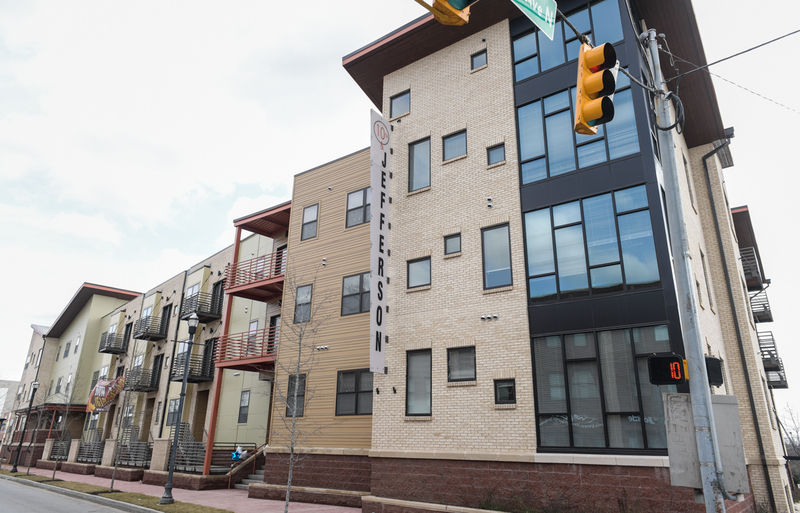 The development, which was designed by Kline Swinney and constructed by Levine and Poor, was supported with a HUD insured loan, Community Development Block Grant (CDBG) funds and Neighborhood Stabilization Program (NSP1) funds. 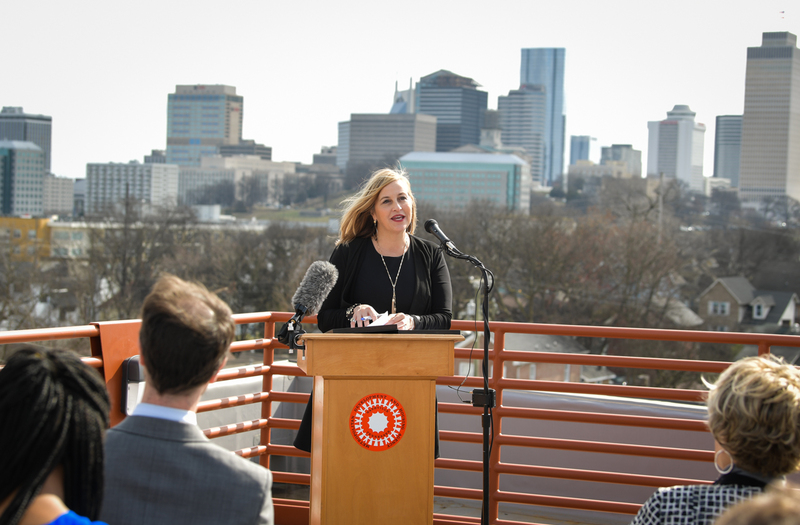 Individuals and families who move here will be within walking distance of Bicentennial Mall, the Farmer’s Market, a grocery store, several restaurants, First Tennessee Park and even downtown. There’s even a locally owned bike shop across the street. The interior walls of the development feature artwork by Nashville native LaRhonda Angelisa. One of her creations was unveiled at the ribbon cutting. 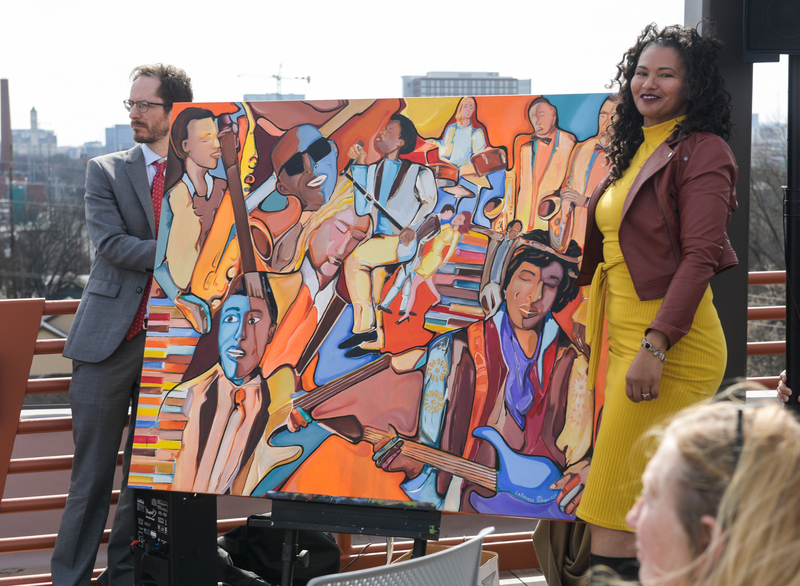 “Angelisa spent months creating vibrant artwork that captures the history of Jefferson St., and we are hopeful that future residents will appreciate these personal touches,” said Harbison. 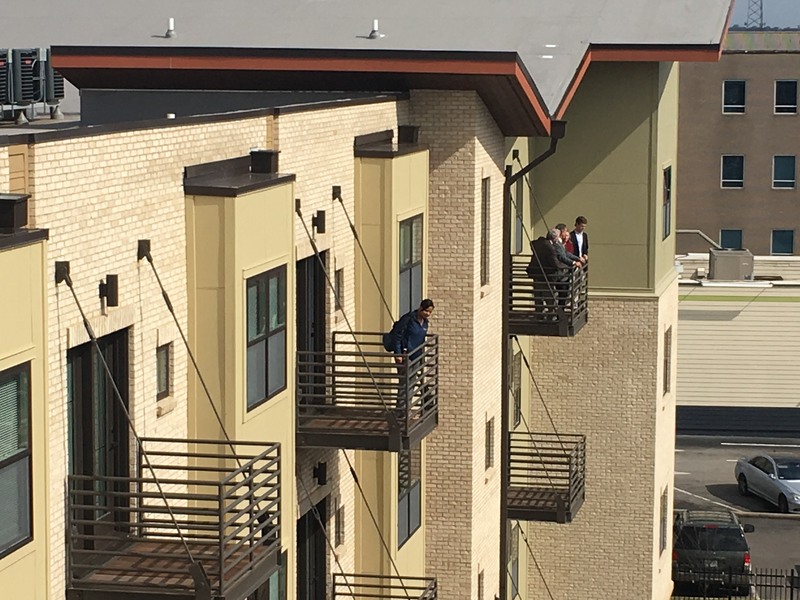 Residents are expected to begin moving into their new homes next month, and units are still available. For leasing information, call 615-291-2881.